They came from Mars—and that’s not a cop-out explanation or a new sci-fi film title. Scientists have decided that 15 pounds of rock that landed in Morocco during a meteor shower last summer came from Mars. This is only the 5th time fresh Martian rocks have been found and chemically determined on earth, the last being in 1962, as spacecrafts have to date been unable to capture rock samples from the red planet. 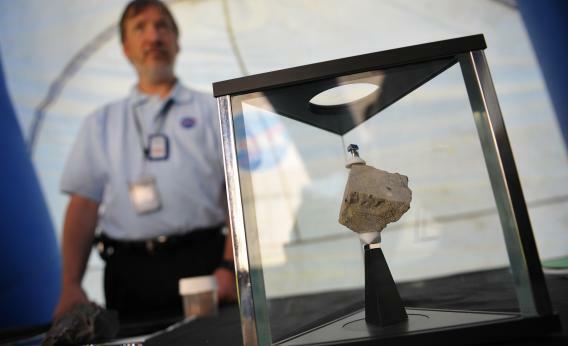 Martian rock is more than a million times rarer than gold and meteorite dealers are selling the rocks for over $20,000. Russian space officials recently blamed U.S. radar activity for interfering with a vessel headed to collect Martian rock that ended up in the ocean, as NASA is planning a 2018 mission for the same purpose. Let the space race 2.0 begin.